Trying to work things out with Nash—her maybe boyfriend—is hard enough for Kaylee Cavanaugh. She can’t just pretend nothing happened. But “complicated” doesn’t even begin to describe their relationship when his ex-girlfriend transfers to their school, determined to take Nash back. The Soul Screamers series has absolutely stepped up its game. 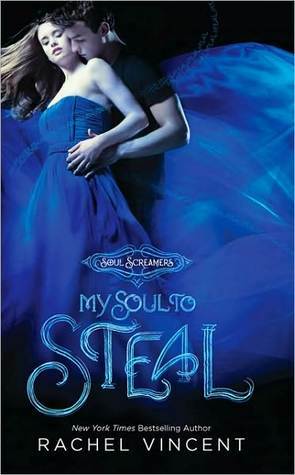 I haven’t really enjoyed the previous two books in the series but I’m glad I didn’t stop because My Soul to Steal is amazing. A riveting plot involving mysterious deaths at Kaylee’s high school, coupled with the emotional drama between Kaylee, Nash and his ex girlfriend Sabine made for a compelling read that I could not put down. I was another late night for me! Finally, finally, Kaylee’s (un)common sense kicks in and she enlists the help of her father and uncle when people started mysteriously dying at her school. They help her every step of the day and she even admits it was great to not have all the responsibility fall on her for once. She still goes through a lot and has some awesome (deadly) adventures, but I was glad that she told the adults in her life when she suspected something weird was up. There is a lot going on in the book and for a long time it’s unclear how much of it is caused by something supernatural. I liked how it all came together though, and left me with an ending I was satisfied with, but still wanting more. The book is a lot more focussed on the relationships between characters than those preceding it, and we get to see Kaylee and Nash attempt to work through all the issues that came up in the last book. It’s all made very difficult by Sabine, who uses her freaky-deaky powers to invade Kaylee’s dreams and turn them into nightmares based on her deepest fears. One of the things I enjoyed is Sabine’s tenacity – she never once backed down and I think, oddly enough, I liked that about her. Nash also improves in my eyes throughout the book because he makes it clear to Sabine that he is in love with Kaylee. I think Kaylee was a little harsh on him about Sabine, considering all he can do is tell her he’s not interested – he can’t stop her “actively trying to get into his pants”. I’ve always enjoyed the premise of Soul Screamers and love getting to know about the world that Rachel Vincent has created, and I think she delivers a wonderful tale in My Soul to Steal. 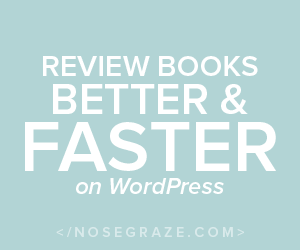 I can’t believe how much I enjoyed this book – I liked it even better than the first one! I’m sticking to my guns and advising readers to stick with the series, it’s worth it just to read this book! It’s impressive that this book improved after the previous two, that’s a relief!